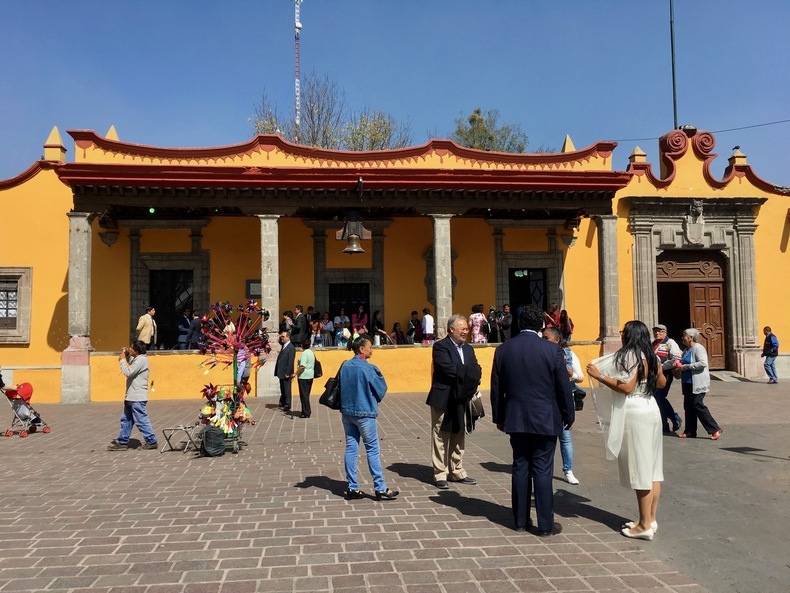 I was about to email my family some notes on Mexico City, but then I figured, why not share them publicly so anyone who wants can benefit from them in the future? I had heard a lot of great things about CDMX over the past few years, but nonetheless it still exceeded my expectations in multiple categories. I was expecting good food, lively markets and cafes, good museums etc. 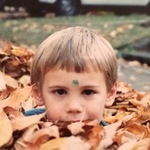 - so these things weren't a surprise. But I was pleasantly surprised by other parts of our experience: It is a very lush city, with lots of mature trees. Many neighborhoods are very pedestrian friendly and good for walking. In general it was more neighborhoody and quiet in many places than I expected. It was also quite clean in the central neighborhoods - the city seems to employ an army of street sweepers who are constantly at work with very large, rustic looking brooms. I was also surprised about the affordability. Expect to pay under $10 for most dishes you will buy at any restaurant that isn't fancy or targeted at tourists. Overall - lots of color, smells of cooking food, a menagerie of sounds - a great sensory experience! 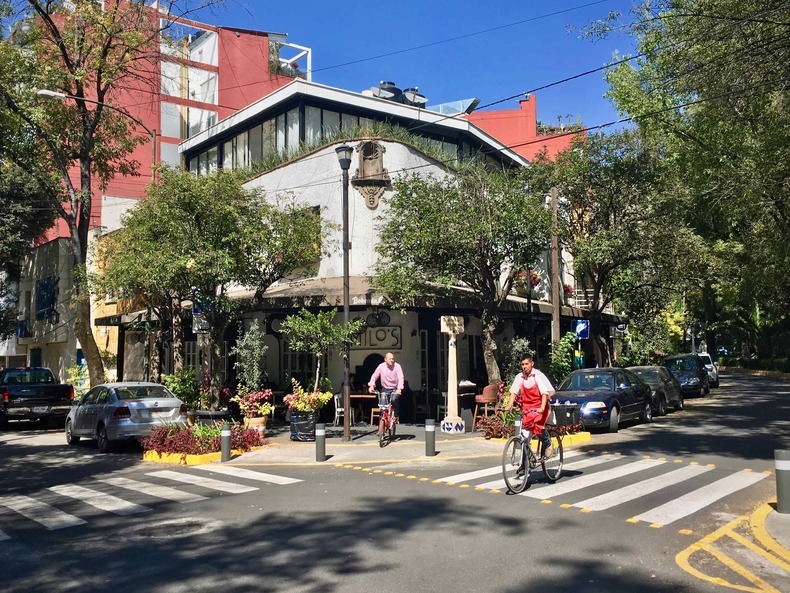 We stayed in the Condesa neighborhood (Colonia Condesa) - a very hip, lively, and lush neighborhood. It borders Colonia Roma, which is also a great neighborhood - slightly less "nice," but still great to walk around and eat in. Here is a good taste of the neighborhood and another. We stayed at the Red Tree House in the Terrace Suite. Very nice - bedroom, bathroom, living area, private terrace. Every night between 6 and 8 the B&B has free, unlimited beer and wine and guests mingle in the beautiful courtyard and socialize (you can also find a quiet corner and just hang out on your own or with your own group if that's how you're feeling). In the morning they serve a simple breakfast (fruit, pastries, coffee) plus a rotating mexican specialty each day - for example, we had a pretty good zucchini omelette. Our final dinner of the trip was at a great restaurant called Páramo which has really great vibes and good food and drinks - contemporary Mexican and Peruvian is how I would characterize the menu. We asked the server to bring us out whatever the chef thought was best that day and it worked out great. I thought Páramo may have been the best ratio of price to quality (in terms of both food and ambience) of our trip. Note: It is upstairs and not very well marked (or perhaps not even marked at all) from the street, so make sure you know the exact address before setting out. We had a yummy breakfast at Lalo! - Chilaquiles and Huevos Rancheros. Kind of a hipstery joint, with a communal table, good vibes, etc. We also had a good breakfast at Ojo de Agua - just one block from the B&B. The food was solid, as was the carrot/apple/ginger juice we got, and the vibes were mellow and good. We sat along an open air bar looking out onto the sidewalk. On Friday night, we ate at Pujol, which is often ranked as one of the 50 best restaurants in the world. 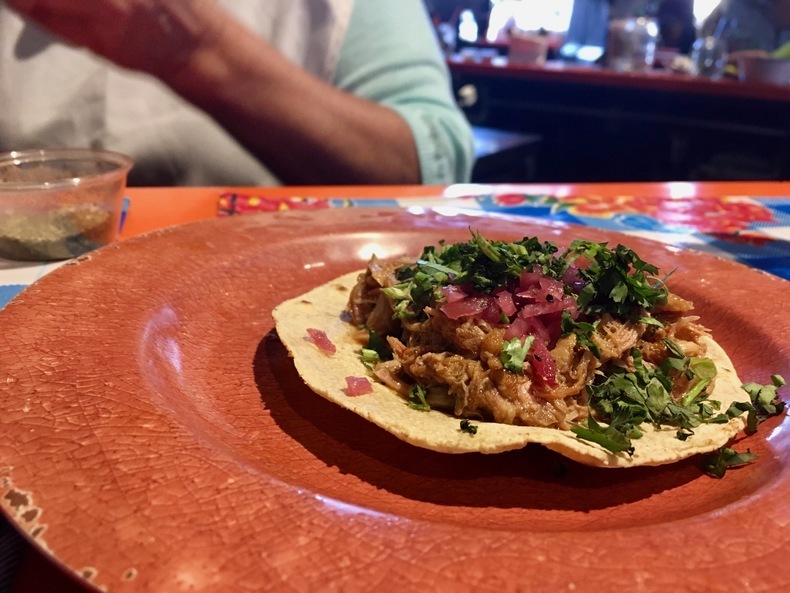 It was a 3.5 hour, 7 course experience filled with inventive mexican food. This restaurant would be $300+ a head in NYC or Tokyo, but was only $100 in Mexico City. If you're just going for the food, probs not worth it, but if you are willing to pay for the whole experience/ambience/etc. and you feel like you can afford it, I'd say go for it! Try to make reservations months in advance. We had a relaxing and good lunch at Rafaella with yummy sandwiches, cookies, and americanos. They had lots of delicious looking baked goods. Besides that - there are literally places on every corner to get delicious tacos, tortas, fresh pressed juices, etc. Uber is very affordable and easy. The best thing is walking all over. Coyoacán (lovely older neighbohood with cobblestone streets, old colonial architechture, nice trees, a beautiful big park and a nice market and plaza. 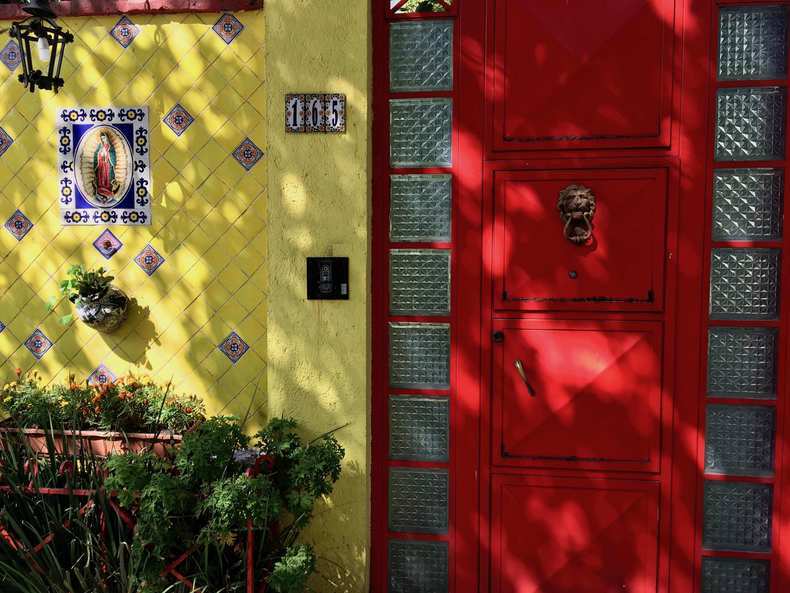 Make sure to budget a few hours to walk around this neighborhood and have coffee of a lunch along the way in conjunction with a visit to the Frida Kahlo house). 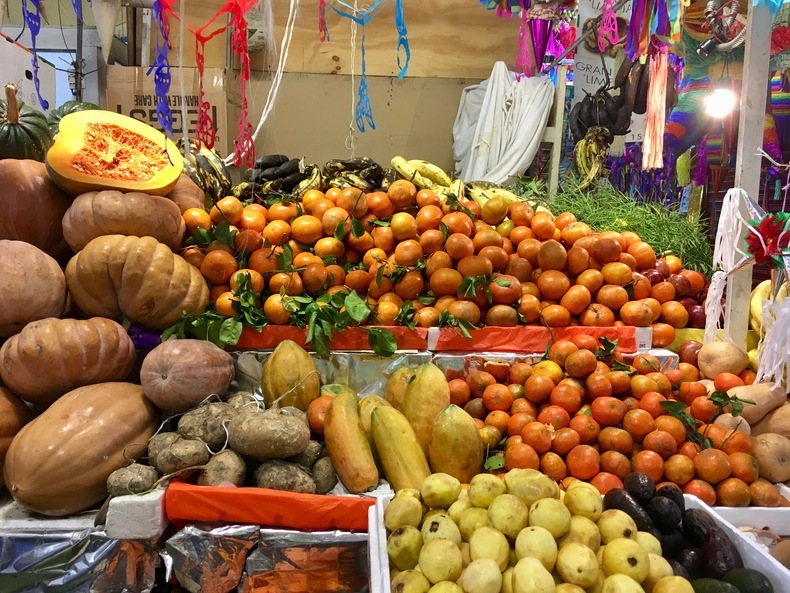 If I were to ever visit with a larger or more diverse group (like a family), I'd likely recommend we rent a house in Coyoacan, and then venture out from there. Loved it. I love museums that focus on one person or artist, and it is very cool to see where and how she and Diego Rivera lived. Picasso, Van Gogh, Hundertwasser House and now Frida Kahlo house comprise some of my most memorable and favorite museum experiences. Pro tip: Buy advance tickets online to skip the queue. There are some good bigger markets lush with food, crafts, busy people. Always fun to check out. The one in Coyoacán near the Frida house was cool. What did I miss? What should I do next time I'm in CDMX?